Description: RBI invited Legal Consultants & Director posts on contract bases. Reserve Bank of India – RBI published an official notification for Recruitment of Legal Consultants & Director for 07 posts. Eligible candidates can apply for this recruitment. You can view more details about this recruitment including No. 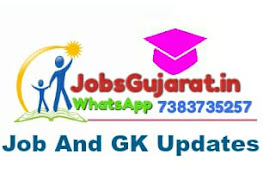 of posts, name of post, Educational qualification, Age limit, Selection process, How to apply etc… You can also view official notification and other important facts about this recruitment e.g. Important links and Important dates. Legal Consultant (Grade ‘F’): Bachelor’s Degree in Law recognized by the Bar Council of India for the purpose of enrollment as an Advocate with a minimum of 50% marks or equivalent in the aggregate of all semesters/years; and Master’s Degree / Ph.D in Law from a recognized university. Essential: Full-time Master’s Degree or Doctorate Degree (PhD) in Statistics, Econometrics, Computer Science, Mathematics, Mathematical Statistics, Data Science and Big Data, Finance or Economics from an Indian University recognized by Government bodies/ AICTE or a similar Foreign University /Institute. The Master’s degree should have been acquired with at least 55% marks. Essential: At least seven years’ experience as an Advocate or as a Law Officer in the Legal Department of a large bank / financial institution / statutory corporation or Solicitor’s office or in the Legal Department of Central / State Government or as a partner in a Law firm providing legal advice. Desirable: Experience in dealing with Taxation laws, International laws, special laws administered by RBI such as BR Act, RBI Act, laws relating to Banking, Payment Systems, Foreign Exchange, Cyber / IT laws, SARFAESI Act, CIC Act, Government Securities Act, IBC, RERA, etc. Legal Consultant (Grade ‘C’/’D’): Should not be below 30 years and above 45 years. Director in Grade ‘F’: Age of the candidate should not be more than 57 years. Final Selection will be through interview only.